Targeted circulation is the key to success! That's why we spent some quality time in Houston, Texas, America's 4th largest city, where our editors took part in the state's "Out of Africa" celebration - which attracted over 450,000 visitors. 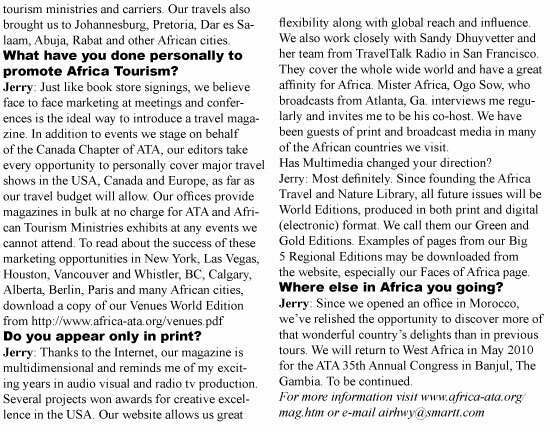 A large, high level delegation of African Ministry officials joined us and Africa Travel Magazine was front and center with a large exhibit, magazine copies, interviews and reports. After attending many events in the USA and Canada we joined our African colleagues at ITB Berlin, World's biggest travel show and Salon de Tourisme in Paris. Next on our agenda is the Los Angeles Times Travel Show, largest of its kind in the USA. Many more exciting events are on our agenda. Circulation is now greatly expanded by a recent partnership with Corporate Press Display, reaching 1.5 million unique viewers monthly, many corporate accounts including Fortune 500 companies - and libraries around the world. 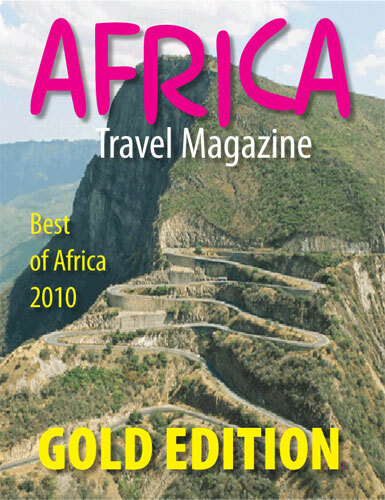 Our complete magazine issues can also be downloaded from the official ATA website and those of our partners in tourism. 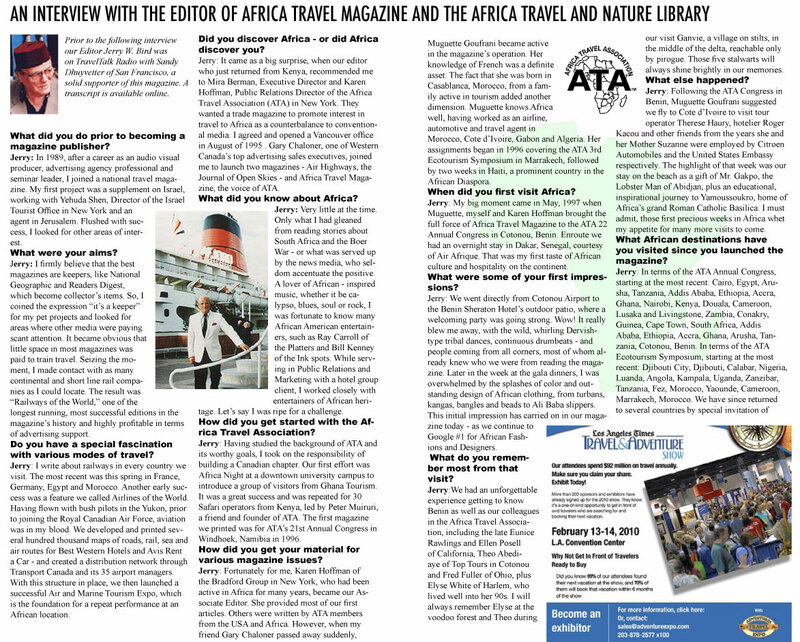 We thank you for supporting this magazine and ATA in our effort to bring positive news about Africa to the global markets in print - online - and on air.